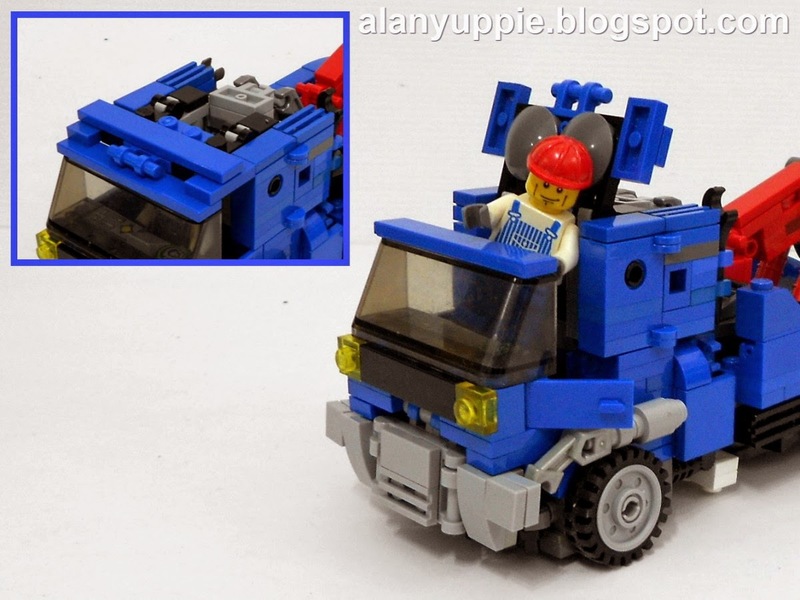 Alanyuppie's LEGO Transformers: Towmecha TM-6656 , Highway Defender! Afters years of resisting social media (read: no Facebook account), I managed to focus on doing the things I like with minimal interruptions (so it seems). But this came at the expense of not getting much exposure . This year I made a point to mingle around more because it's getting pretty lonely here . Yes.... my very first LEGO set as a kid! I'm not sure if having a different "first LEGO set" will change my subsequent destiny much , but this set 6656 is the seed that started it all. And as usual, for me, sudden impulse to MOC building must not be suppressed. I wanted to pay homage to set 6656 by bringing it to this new century with whatever building skills I managed to acquire till now. Initially I aimed to make a flatbed truck (not unlike set 60017 ) , but it will be lacking distinct features, so the homage is not strong enough. Then the red boom and claw was added in. This is my first MOC utilizing the newly introduced small balljoints featured in many Mixels set. I must say, thank you very much.... it helped alot! The red boom and hook/claw took me dozens of reiterations before it ended with the version shown below. Not only the claw must touch the ground, it should look good when not in use /idle, and also in mech mode. Upgraded tow truck means updated towing mechanism. Shown above in idle mode, you'll be surprised with the versatility of this red boom and claws later on. The clearance of the side of the cab is only 1.5 stud wide, so adult (and older kids even) fingers like mine will be having a hard time putting in the minifig. So I must implement the hinged, opening roof. "Hi there! I am Bob, the son of the guy that drove the original 6656 tow truck!" The towed car came from LEGO City's 2014 set 60060: Auto Transporter. I specifically bought that set for a photoshoot alongside my previous Ultra Magnus MOC. The minifig must be taken out from the vehicle before transforming. Otherwise... he'll be squished. There's a platform where the driver is seated will swivel up 90 degree. (suprisingly, the minifig can be placed back into the cab in robot mode). One of my favorite transformation: How the front bumper flaps folded under and wrap around the abs. 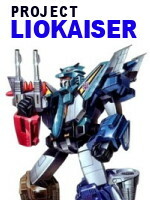 Disclaimer: This MOC is not a character inspired nor exist in official Transformers Universe. So this is LEGO Ideas friendly MOC. Just to let you guys know I will submit this MOC in the coming days to LEGO Ideas in hope to get it mass produced. The boom/claw detaches from the back to become a crossbow-like weapons. Contrary to popular assumptions, Towmecha doesn't shoot harmful projectiles or laser beams. The dual barreled rifle shoot grappling hooks to intercept and capture cars attempting to run away from fender bender and car accidents. And he's doing it in style! In this mode, his main ability is to use his channel his mental thingamajig telepathic power to halt and stop all land vehicles within the radius of 500 feet, preventing further traffic pileups. However, he can only sustain it for about 2 minutes.